For a Traditional/Standard T-Shirt - or Premier Custom Quilt - One t-shirt block is $20 There is an additional $10 fee if the block is pieced from multiple shirts or front and backs. Our pricing is all inclusive, which includes a great selection of fabrics for your one-of-a-kind quilt, all materials, custom professional machine quilting, tons of extra features to commemorate your t-shirt quilt. You can choose from our in-house inventory of over 800 bolts of fabrics. We have basic tone-on-tone colors as well as a variety of trendy, modern and novelty prints. We also offer at no additional charge - a wide outer border. The outer border gives a finished look to the quilt. We've had a number of requests for a simpler quilt design that more directly compares to our lower-priced competition. If you prefer that simple look, just specify the "Basic" option for $18/block. Like all of our T-Shirt quilts, the price is all-inclusive. But unlike our competition, you get a full 6" outer border around the entire quilt instead of the typical 2 or 3 inches! Please note that the optional accent border is NOT available on this option. New Lower-price Option! Our Frameless/No Sashing T-Shirt Quilt is the newest option that we are offering. At $16 per block this makes a very economical option for you. We have removed the sashings and cornerstones and sew the shirts directly to each other. This option is great if you have a lot of concert shirts that might be larger than our standard 14" block. We do suggest that you add the Optional Accent Border as a frame around the shirts before we add our signature 6 inch outer border. We DO stabilize your shirts. These quilts are still made with the highest quality materials and will last a lifetime. 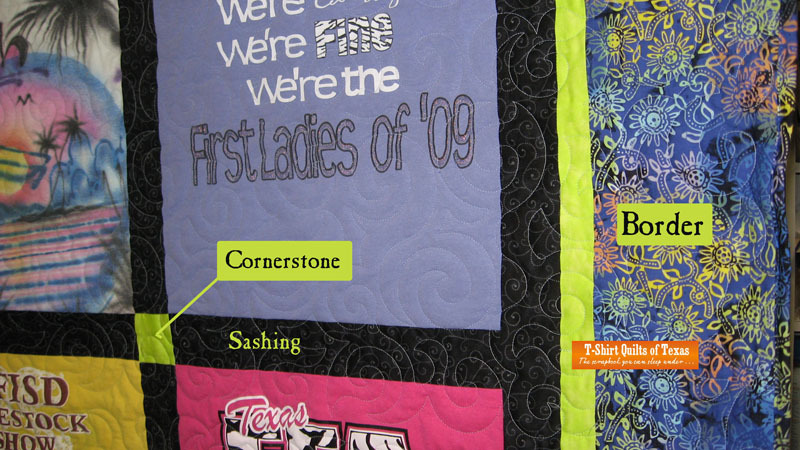 Our Traditional and Standard T-Shirt Quilts include sashing and cornerstones***. A block is the front or back of a t-shirt. We can also use a combination of smaller logos, photos, ties or almost any fabric item you can think of for an additional minimal charge. We provide the backing and a high quality batting and then FULLY QUILT it together with your t-shirts on the front. Cornerstones CAN be the same color as the sashing for a totally differnt look for no additional charge. Each square finishes at approximately 14". You can specify a different size to make the quilt fit your specifications. Smaller sized t-shirts will result in smaller sized squares. By the same token, larger squares will result in a larger quilt. If you have an over-abundance of tshirts, maybe go to a smaller sized block, and small sized sashing. If you have several large image shirts, make a note on the order form, and we will do our best to adjust for those sizes when making your quilt. Some of the most common sizes are listed below. For a more 'visual' pricing table showing sizes, pricing, number of shirts and so on. Standard T-Shirt Quilt - The base price per T-Shirt block is $20. This is what you will receive unless you specify otherwise. Basic T-Shirt Quilt - The base price per T-Shirt block is $18. Only has one border. Accent border is not an option. Frameless/No-Sashing T-Shirt Quilt - Base price is based on $16 per block. No sashing or cornerstones. Accent border is an option. Memory Quilts - Quilts made from non-tshirt clothing. Any details that we may have talked about on the phone or via email should be noted on the order form. You are welcome to email the layout of the tshirts, but please note that on the form. Complex piecing. When more than one seam is involved, or creating a block out of odd shaped items, it requires more time to piece the block. Extensive Fabric Prep - This usually applies to clothing that you bring to use that takes a lot of time to prep before we can use it. Clothing items like school uniforms and ties require time to prepare to be able to use in a quilt. While we don't mind offering this service, it is very time consuming and in order to keep our quilt prices competitive we have to charge extra for this. Charges are based on $20 hour. Return Shipping for one quilt will be via USPS Priority mail and will be up to $25* per T-Shirt quilt. UPS or other shipping carriers are available for an additional charge. *$15 for quilts being returned in the state of Texas. $12 for quilts in the Houston area. Sales tax is charged for quilts going to any Texas address. If you are a non-profit organization, we can omit the sales tax with an authorized Tax ID form on file. Deposit - A $100 down payment is required for each quilt and can be made by cash, check*, credit card or through PayPal. When your T-Shirt quilt(s) are complete, we will send an email requesting the final balance including the shipping** charge. If you pay by check, please allow up to 10 days for the check to clear before we can ship your quilt(s). If you use a credit card or Paypal, your quilt will ship the same or next day after receiving the notice of payment. We pride ourselves on quick, professional service. Our average turn around time is 4 weeks. If you want to guarantee delivery in less than 4 weeks, please add a $50 rush fee per quilt, plus you may need to pay for overnight shipping. Our 'busiest' times are prior to May graduation and the Christmas holidays so it might take a little longer. Be sure to let us know if you have a specific deadline that we need to meet. * Checks should be payable to "T-Shirt Quilts of Texas". ***Sashing is a colored strip of 100% cotton fabric between each square. It typically coordinates with the backing color you select. Cornerstones are squares of fabric that are pieced within the sashing and fit in at the corners of the blocks. Cornerstones can be the same color as the sashing, just be sure to note that on the order form. (see the bright green square in the photo at left). Click on photo to see details. Order Your T-shirt today, call us at 832-559-1190 or send an email with your questions. Additional Accent Borders. An optional Accent border can be added for $20.00. (see the bright green border in the photo above). Note- this option is NOT available on the 'Basic' style of quilt. Flannel Back. Flannel is a wonderful way to make your quilt special. It is instantly warm and inviting. We only use the highest quality 100% cotton flannel. Add flannel to the back of your quilt. Custom Label. Have a personalized label attached to the back of your quilt with names, dates, sentiments, poems, song lyrics, your quilt’s name or even a picture to let document this special quilt. Printed Black & White $15.00, Printed Color $25.00. QuiltWash Soap. Professional care for your priceless memories, T-Shirt Quilts of Texas QuiltWash was specifically developed to gently clean your treasured quilts. 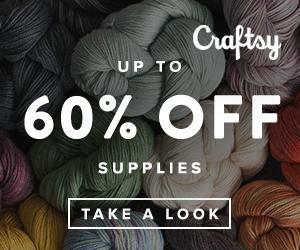 Also great for fine washables, delicate fabrics and lingerie. 8 fluid ounces for $10.00. Embroidery. Prices vary depending on complexity of embroidery, but usually run around $15 - $20 for simple text. Choose whether to include embroidery on the front of the quilt, or as a label on the back. RUSH/Expedite Fee. Our average turn-around time is 4 weeks. Guaranteed delivery in less than 4 weeks. Does not include the cost of overnight shipping.